New York, NY, U.S.A.: Nordon Publications, 1980. 250 pp. Someone wanted detective Wes Ritter dead but first they wanted to make his life a living hell. Book is in near fine condition. No former owner's name. Likely an unread copy.. Mass Market Paperback. Near Fine. 7 x 4 1/4. New York, NY, U.S.A.: Random House, 2000. 345 pp. 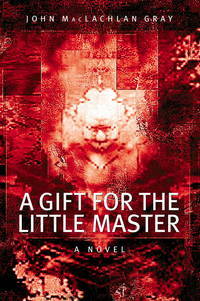 A thriller novel set in the 21st century; evil awakening in a fractured urban culture. Entire book in near new condition. New mylar cover. No former owner's name. Gently read if at all. A very nice copy.. First Edition. HC and DJ. Near Fine/Near Fine. 9 1/2 x 6 1/2. London: Hodder and Stoughton, 1973. 190 pp. The 32 book of Dr. Palfrey. Dr. Palfrey has to fight for the freedom of the world from a take-over bid by militant feminists using a mysterious drug called silena. Dr. Palfrey also finds a love of his own in this story. Dustjacket has almost no wear. Previously protected by plastic now with a new mylar cover. Not price clipped. Very clean. Black textured paper on boards binding with bright gold lettering in very nice condition. Front free endpapers have a bit of adhesive residue staining but very minimal . Former owner's name. A wee coffe stain on edge of first two pages (not major flaw) Text is clean, unmarked, secure, no folds, creases tears. A very good copy of this book of adventure and intrigue.. HC and DJ. Good - V. Good/Near Fine. 7 3/4 x 5. New York: A Tor Book, 1987, 1987. HC and DJ. Presumed First. 8 1/2 x 5 3/4. ISBN:0-312-93005-4. 254 pp. Not price clipped. Thomas hauser is the author of eleven books, among them Missing, which was a Pulitzer Prize nominee. 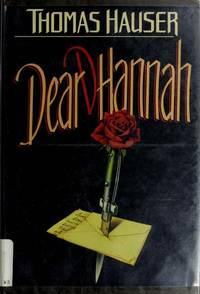 Dear Hanna h is another of his extraordinary thrillers. Strong characters and relationships, a fine eye for details. An extraordinary story, set in new york. Dj is black with illustration of a dagger and red ros e piercing an envelope. New mylar protector. Red paper on boards binding - mint cond. Endpapers white, pristine. No former owner's name. Text bright, tight and exceptionally clean. An exceptionally ni ce copy of this fine hauser book. Dj; v. good - fine. Binding, endpapers and text: v. good - fine. N.Y.: Jove/HBJ, 1978. 288 pp. The shattering psycho-thriller of compulsion and terror. "The senator's daughter. Three years ago they ravaged her body. Now, they'd come back for her mind." Softcover has faint creases from holding, a crease at spine from opening. No former owner's name. Text is clean, secure and unmarked.. First Jove/HBJ Edition. Mass Market Paperback. Good. 7 x 4 1/4.